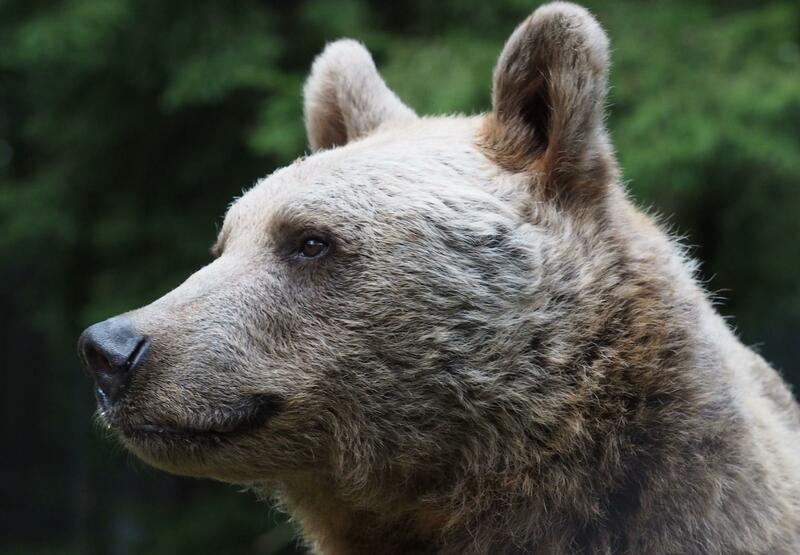 Vinzenz, a Syrian brown bear, was born in Slovenia in 1988. He was given to a circus, which abandoned him in Styria, Austria. Together with his sister Liese, he ended up as a mascot for a new ski lift. The pair lived there for the next nine years in a pit of 300 square metres. Vinzenz soon learnt that visitors would throw scraps of food when he stood up on his hind legs and and begged. After the lift company went bankrupt, FOUR PAWS assumed care for the bears and moved them to the new BEAR SANCTUARY Arbesbach. During their first winter there, the two bears hibernated for the first time in their lives.